Aspirinox Alloys Inc. is one of the leading manufacturers and suppliers of Monel 400 Pipe that is used extensively in piping systems. It is a binary alloy of nickel and copper, mutually soluble in all proportions, a single phase alloy. This alloy can be hardened only by cold working. 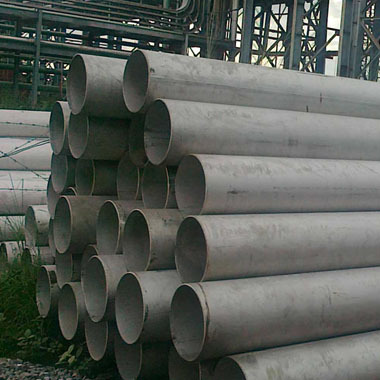 Monel Alloy 400 Pipes is known for its high strength and corrosion resistant. Also, it is compatible with a wide range of temperatures and available in a variety of shapes, sizes, thickness and grades depending on the requirements of the client. Monel 400 is also referred as N04400 also come with high toughness and used often in the anti-corrosive environment and is perfectly applicable in heavy duty processing units such as transfer piping in oil refineries. Monel 400 pipes are very suitable for reducing conditions, often used for high tolerance tubing. Also, it possesses excellent weldability and utilized in marine applications, chemicals, boilers and heat exchangers. The product also comes with excellent ductility and works in alkaline and acidic environment. Able to withstand large amounts of pressure and weights, Monel 400 is essentially durable. The size ranges from 15” NB to 150” NB inches, available in various forms like Monel 400 Round Pipes, Monel 400 Square Pipes, Monel 400 Rectangular Pipes and Monel 400 Hydraulic Pipes etc. Also, come are Seamless, Welded, Fabricated, with a plain, beveled or trodden end. Monel 400 conforms to grades like ASTM/ASME SB 163/165. We provide you with the best quality products at affordable rates serving your requirements. Contact us to request a free quote. Specifications for Monel 400 Pipes. If any specification is not mentioned here, please use the contact button for quick quote. Contact us or click on the below button to request a latest 400 Monel pipes price list. Aspirinox Alloys INC is dedicated to providing the world-class Monel 400 pipes that cater all your demands at very competitive rates.